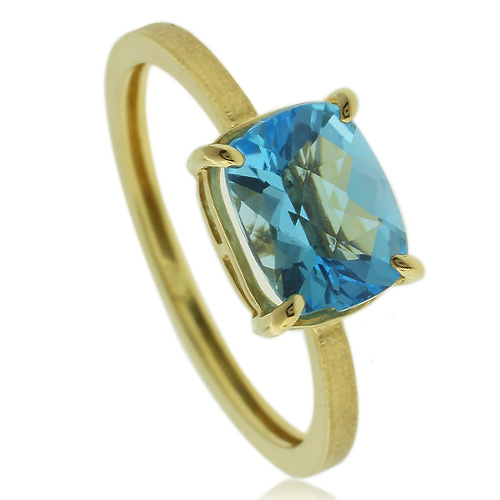 This Genuine Blue Topaz Engagement 14k Yellow Gold Ring piece is handcrafted from 14-karat yellow gold with a faceted checkboard blue topaz set in 14-karat yellow gold and illuminated by 8mm x 6mm genuine natural blue topaz. You'll be wearing a beautiful gold ring from a December birthstone collection. A gorgeous ring to be showing off. just Love it. This was a birthday present from the most amazing guy in my life! the ring is absolutely perfect and i love it! !